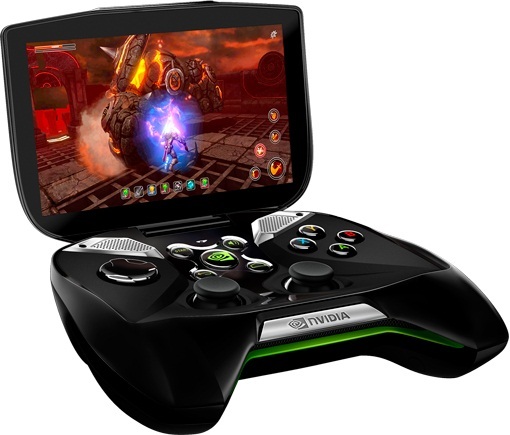 The first major reveal of CES 2013 surprisingly comes from chip maker Nvidia who has surprisingly revealed details about their new handheld gaming console code named “Project Shield”. The handheld will be powered by Android Jelly Bean and have access not only Android games but games from the download service Steam. The system is powered by Nvidia’s new quad-core Tegra 4 chip, has 5-inch 720p multi-touch display, wi-fi connectivity and integrated display. I am not sold on its clam-shell design and I’d describe it the product of a Xbox, Ps3, 3DS and Wii-U mating session. However, this is the most exciting but of gaming hardware news in a while, lets see how it develops.